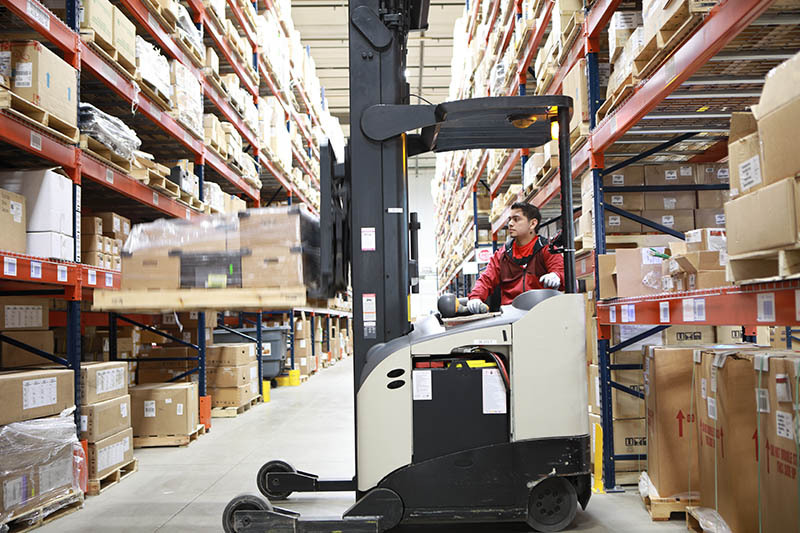 From the warehouse to the transport truck, keeping your team members connected throughout the day is crucial to keeping your operations running smoothly and efficiently. To do so you need a device that will meet your day-to-day requirements, which is why our customers in the manufacturing industry choose the EVX-S24 portable radio from Vertex to keep them connected in rough and demanding environments. This compact radio gives you all the capabilities you look for in a radio such as crisp and clear audio, the ability to work in both analog and digital modes, and extended coverage for work across multiple sites. With the Site Search feature, your EVX-S24 radio makes communicating across multiple sites, locations, and buildings that much easier. After manually or automatically activating Site Search, your radio will connect you to the site closest to you with the strongest signal strength. Meaning no more dropped messages due to poor coverage, allowing you and your team to remain connected regardless if you’re in the same building or not. Small enough to fit in your pocket, but durable enough to be submerged in water, the EVX-S24 radio can withstand your rough and demanding work environment. Its slim, discreet, and lightweight design is ideal for carrying around from task to task and is comfortable enough to be worn on a belt or clipped to a lapel. Equipped with one of the best durability options two-way radios can have, The EVX-S24 meets international standard IP67. So, if you accidentally drop the radio in water, you can count on it to keep working as it can withstand being submerged in water up to three feet for 30 minutes. Not to mention it has complete protection from dust and other particles, so no matter your work environment you know your radio will be with you every step of the way. In an industry that has team members working in several different facilities across multiple locations, it can be tough to keep track of your crew, and even tougher if something goes wrong. You require a device that will ensure the safety of your workers, and the EVX-S24 will do just that with its Lone Worker Alert and Transmit Interrupt features. Transmit Interrupt comes in handy for when you need to relay an urgent message, as it allows a radio user to interrupt a current transmission to send a message with a higher priority. And with the radio’s improved audio quality that reduces static and noise, all your messages will come in crisp and clear, so you never miss a beat. If a user becomes unresponsive on their radio for a certain interval of time, Vertex’s Lone Worker feature can be activated to initiate an emergency alert to notify others to help track down employees working on hazardous tasks. Whether you’re a crew member working in the warehouse, or a manager looking to keep your team safe and connected, we have the right manufacturing radios for you. Looking to learn more about other top two-way radios for manufacturing? Download our free one-pager.